The Low Rider driver series represents a milestone in high-powered sub-woofer design. 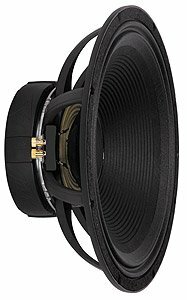 An incredible 1,600 Watt program rating and extra-long cone excursion provide maximum amounts of amazingly clean, deep bass. The Low Rider is a superior choice for the bottom end of any high-powered sound system, from DJ rigs to the largest professional touring shows.